Why does my dog sometimes howl? – Idiot’s Questions? Like barking, growling, and whining, howling is one of the few forms of verbal communication that dogs have. Its roots go back to dogs’ wolf ancestry, when wild wolves used howling to communicate over long distances. The howl swept through different pitches, which helped the sound carry over longer distances. Wolves use howling to let other pack members know their precise location if they happen to get separated. Other members of the pack howl back in reply—an acknowledgement that the sent message has been received. 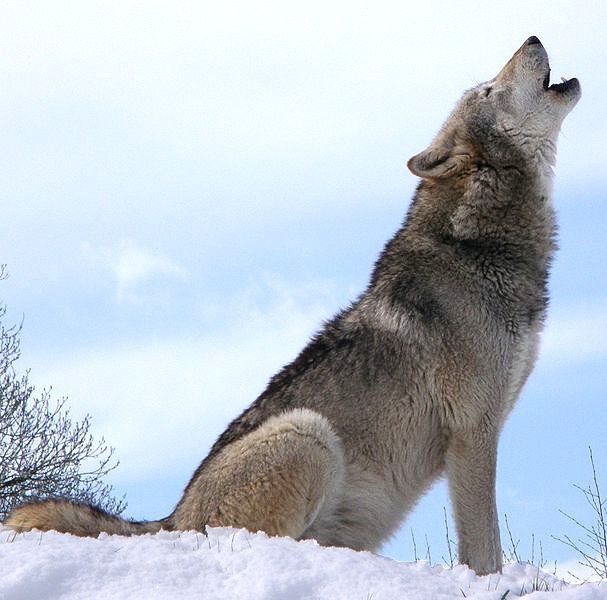 Wolves also howl to discourage a rival pack from encroaching on their territory. Dogs today still display some of this behavior. If you leave your house or apartment, your dog may howl to try to reestablish contact with you. If the howling persists after you’ve left, it could be a sign of separation anxiety. And sometimes dogs howl to establish their territory. Previous Previous post: Why is someone lost if he “doesn’t have a clue”? Next Next post: What is bonsai?